The first Horse Lake Trail Run attracted about 140 people, including Will Young (left) and Mike Broxson. 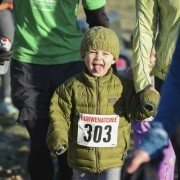 When the last of the runners crossed the finish line at the highly successful Horse Lake Trail Run this past May 11, there was no guarantee a similar sight would be witnessed anytime soon in the Wenatchee Foothills. The first Horse Lake event was held in conjunction with the Chelan-Douglas Land Trust’s Foothills Campaign and there was no immediate plans to hold another race. 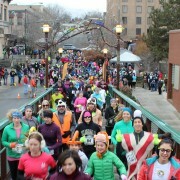 Reviews of the event were so positive, however, that the Land Trust and race organizer RunWenatchee soon entered into talks. Those led to an announcement Aug. 15 that indeed there will be a Horse Lake Trail Run II on May 10, 2014. Just like the first one, the 2014 version will serve as a benefit for the Land Trust, which owns the 1,700-acre Horse Lake Reserve located just a few miles northwest of the city of Wenatchee. Plans are in the works for a half-marathon (13.1 mile) trail run next year along with a 5-miler. 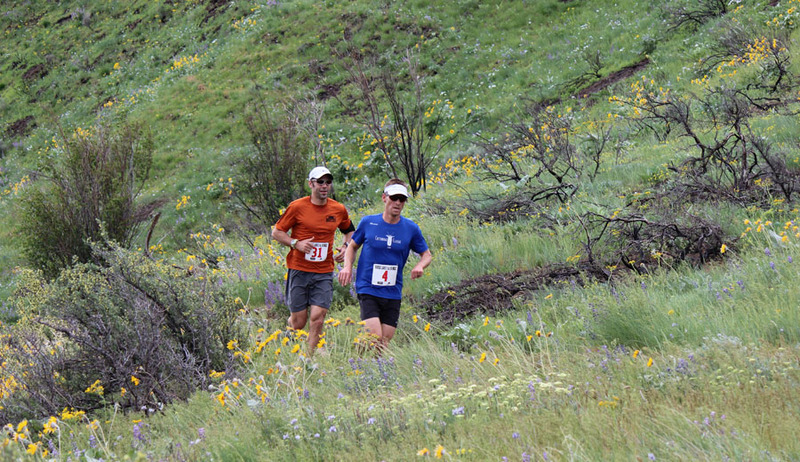 This past spring, the race included 10-mile and 5-mile trail runs. Please check the RunWenatchee Facebook page in the coming weeks and months for more information, including a registration link.